Behind The Scenes | How hard is it to build your own computer? How hard is it to build your own computer? How hard is it to build a computer? It used to be a complicated process – you had to know what you were doing or risk damaging the delicate (and expensive) parts. Although once you have your computer up and running, the sense of accomplishment is hard to beat. Today we go behind the scenes to speak to Justin, our curriculum developer (or Rocket Launcher as you know by now) who is leading the curriculum design for one of our exciting new courses Back to Basics: From Zeroes to Python Heroes. He’s been putting together his own computers since he was a kid, and shares why he felt this course is necessary and provides a good foundation for kids who want to progress to Python programming. Justin: I like the idea of kids engaging in an hands on experience of building something. I actually built a computer when I was about 15 and that experience was quite powerful. I actually damaged the CPU in the process – and it was the most expensive part of the whole set. I had to think of some way to fix it and I eventually managed to but I learnt a lot from that experience. I want kids to overcome any fear or wariness they might have of computers and tech in general. Saturday Kids: How hard is it to build a computer? Justin: I think kids should be able to handle about 70-80% of it on their own but after a point they’ll need some help from an adult. Putting together your own CPU can be tricky. That’s where the Raspberry pi-top computer comes in handy, but of course the process can be frustrating. When I was exploring the Raspberry Pi on my own as a kid, I didn’t really know what to do with it. The worst bit of it was realising, after I had bought the Raspberry Pi, that I needed to buy a monitor and a HDMI cable just to be able to use the Pi. But for our Back to Basics: From Zeroes to Python Heroes course, we’re using the pi-top which comes with all the necessary parts so you can build a computer without too much additional effort or frustration. It’s a good place to start for your very first do-it-yourself computer. SK: Apart from building a computer, what else can a kid learn during this course? 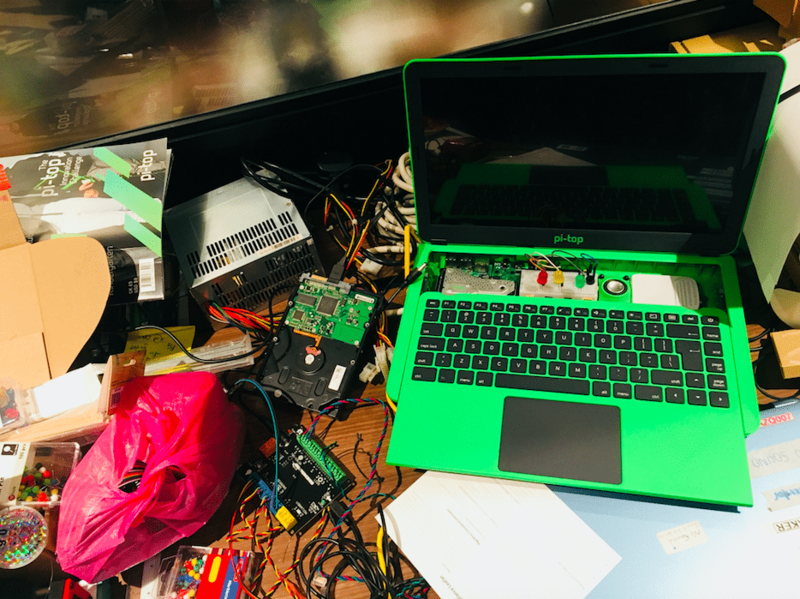 Justin: This course definitely isn’t just about building a computer – the pi-top is designed to teach, and be used, with a programming language called Python so alongside some physical computing, your kid’ll pick up some basic text-based programming. Python is a computing language that can be used for general programming so you can pretty much code anything with it! SK: How does this course place itself against our other Python course: Puzzle Out with Python Programming? Justin: When I taught Python 1-2, I realised that a lot of students were struggling in the transition from block-based Scratch to text-based programming. So I thought it would be good to have something between Scratch & Python that better breaks down the concepts and would allow the kids more time to digest what they are really learning. And that’s how we came up with the idea for a Python foundation course and Back to Basics is that foundation course. In general, breaking down the project into simpler tasks so that the kids can see how each task fits into the bigger picture helps. Building a computer is part of the process – all the little bits similarly add up to a computer and that’s where the real learning is. It’s in this process of filling in the little details where they learn how programming works. How well do you really know a computer? From understanding your computer inside out, learning about binary (the language computers speak) to touch typing in the most efficient way ever – It’s time to go back to basics. Take your first steps to becoming a pro by building a solid foundation of hardware & software with pi-top & Python. 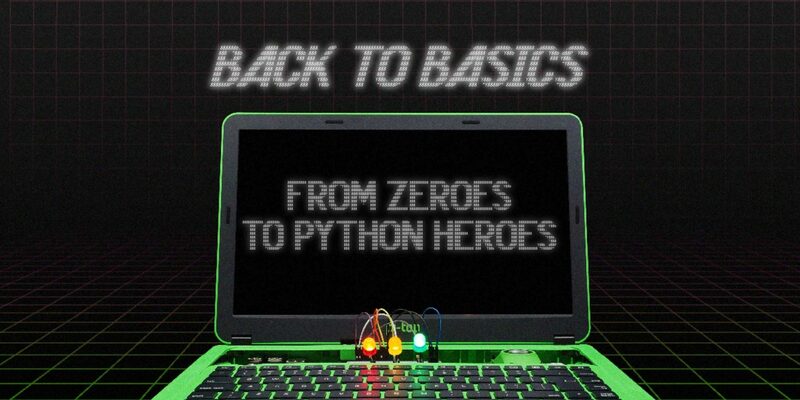 Be one of the first to experience our new course “Back to Basics: From Zeroes to Python Heroes” this summer. Save $30 if you register by April 29. Check out our full schedule here.